It might work, but it's fragile and can't be used in Quick Starts. 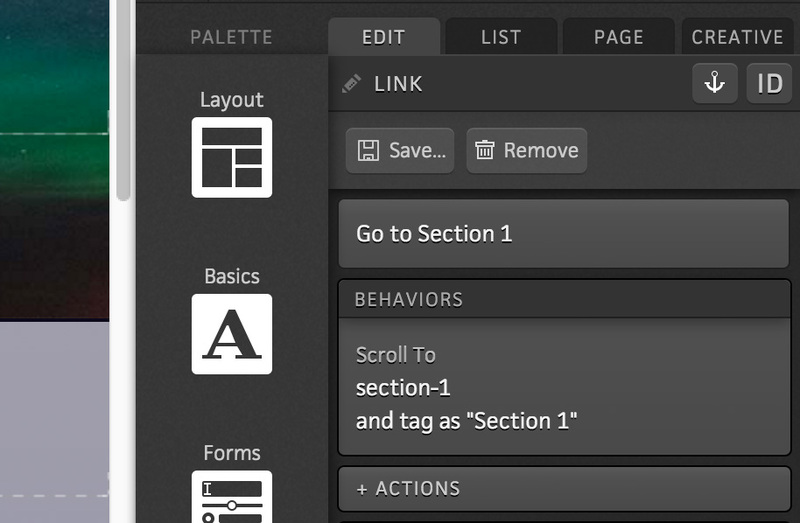 Now you can add the ability to scroll to other parts of a page in just 2 steps... no custom code required! Anchors allow you to make targetable elements on the page. • The anchor is all set! linking to section-1 is all set! 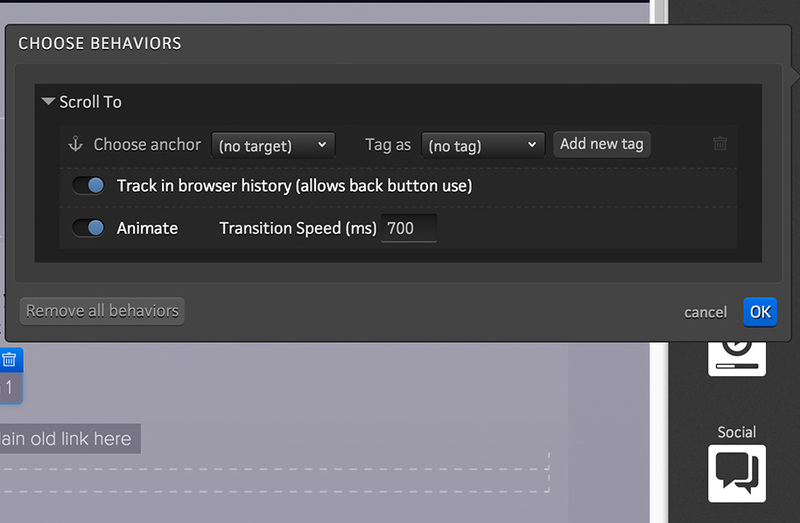 The In-Page Linking magic happens when you add the "scroll-to" behavior to any element you want to click on to reach the anchor you wish. • The scroll-to behavior is all set! Great, let's see it in action! 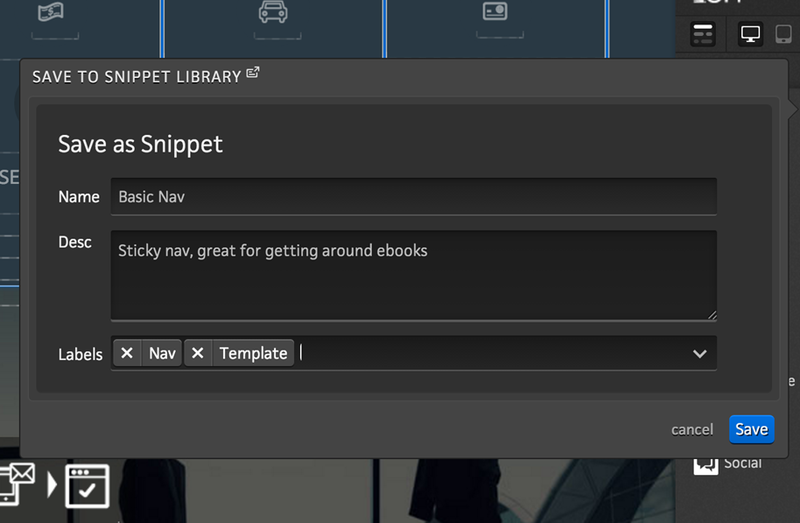 Snippets allow for the creation of complex experiences in even less time than before. A few discrete building blocks can now be added to any page, with little to no configuration required. 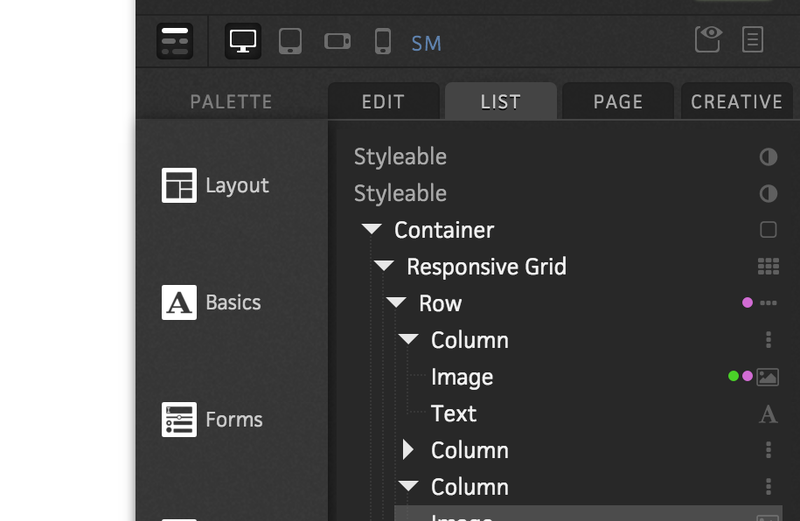 Reusing content eliminates the time needed to customize component settings and rules, without being as personal or ephemeral as the clipboard. 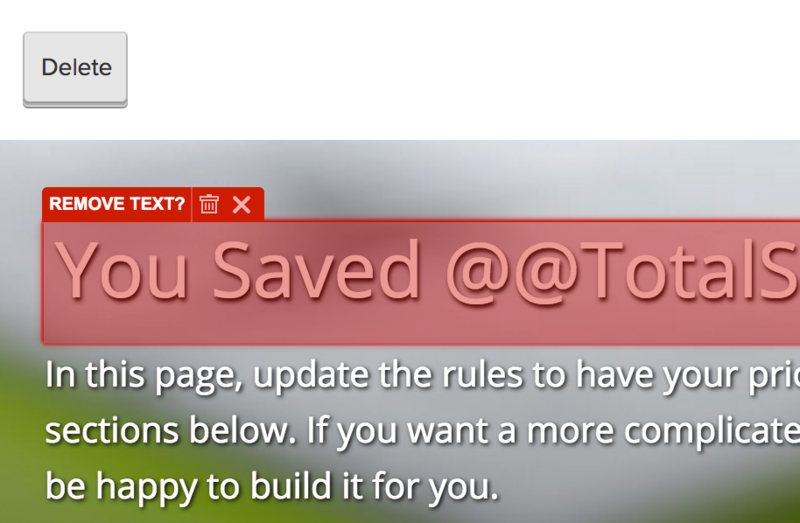 When one user creates a standard form and saves it as a snippet, anyone can leverage that content across the platform with only a few clicks. 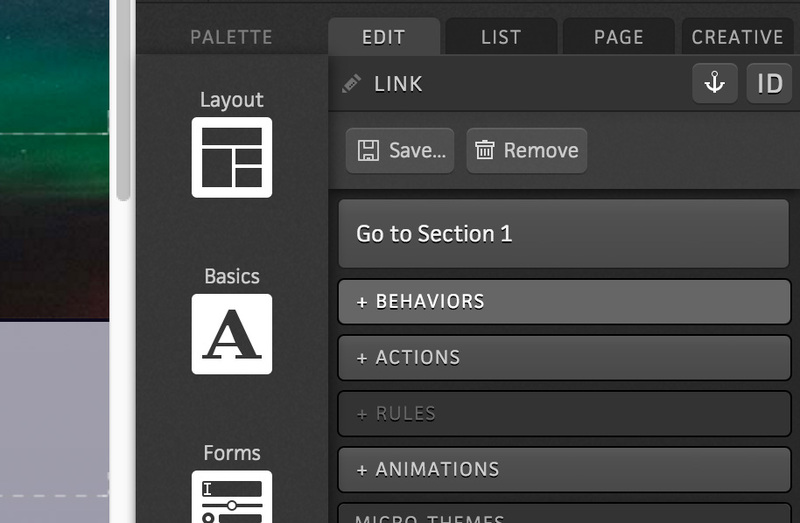 Snippet-izing the skeleton of a page offers easy layouts without the headache of master pages. 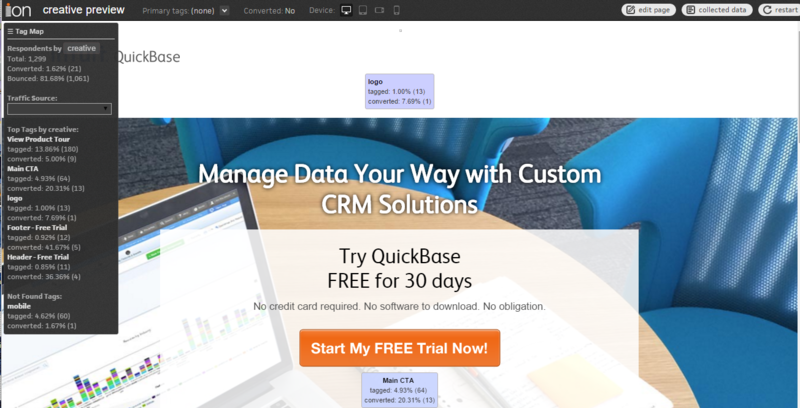 Eloqua integrations are easier than ever! 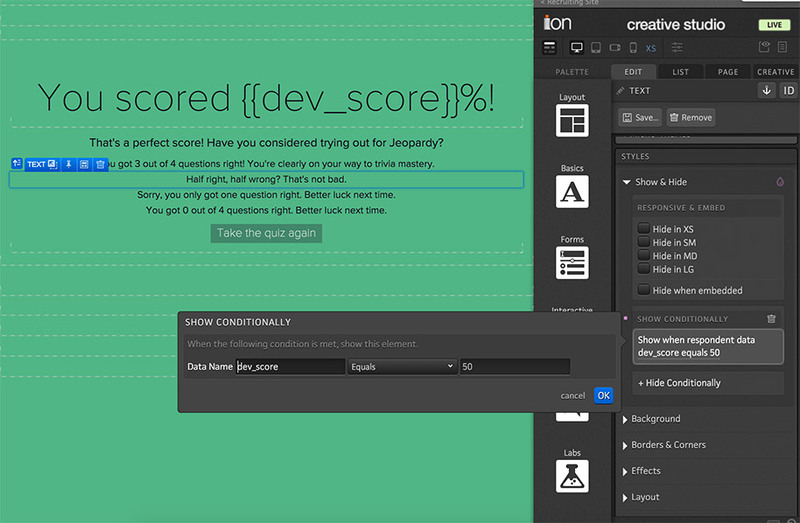 ion now supports a powerful REST API integration that enables you to send and retrieve data in real time. 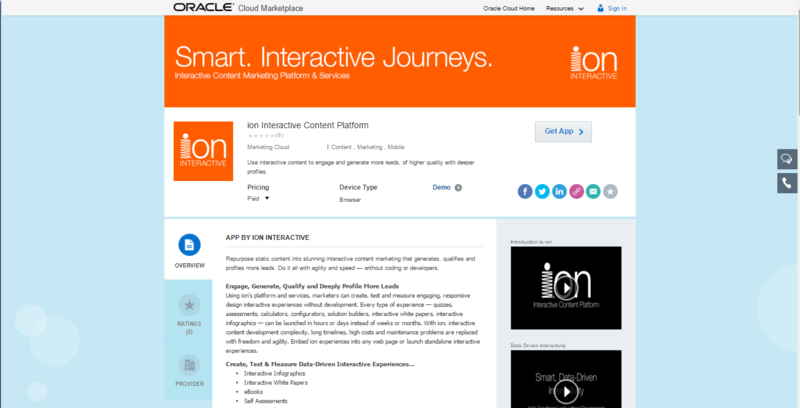 Your Eloqua REST API credentials establish the connection through ion's Integration interface. 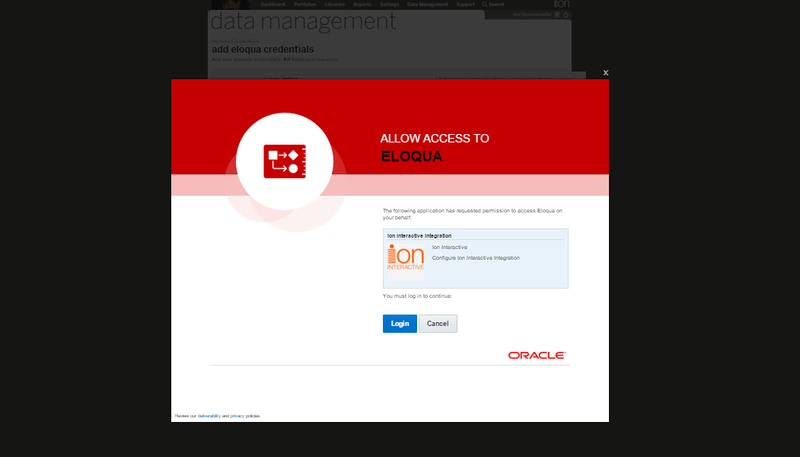 After adding your Eloqua account credentials, you will be able to easily map your ion fields to corresponding Eloqua fields via read-only drop down menus. 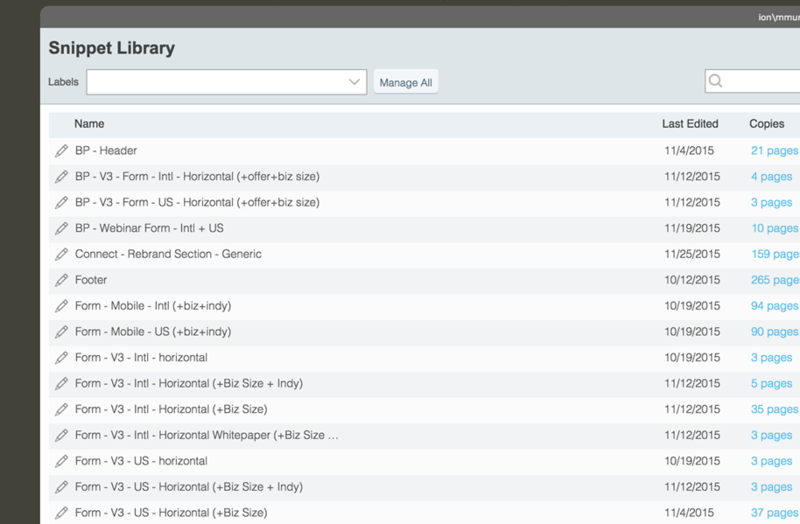 Get ready to send and retrieve powerful data points in real time between ion and Eloqua! 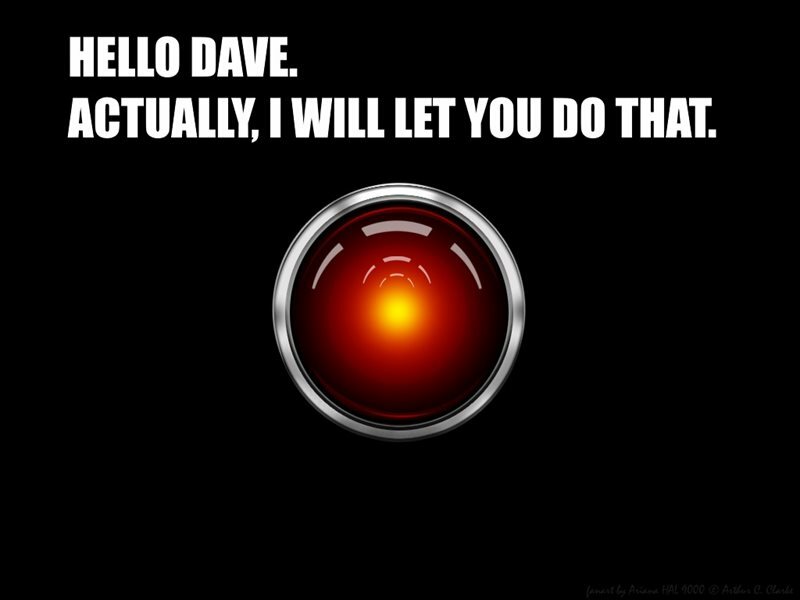 ... and run the integration! 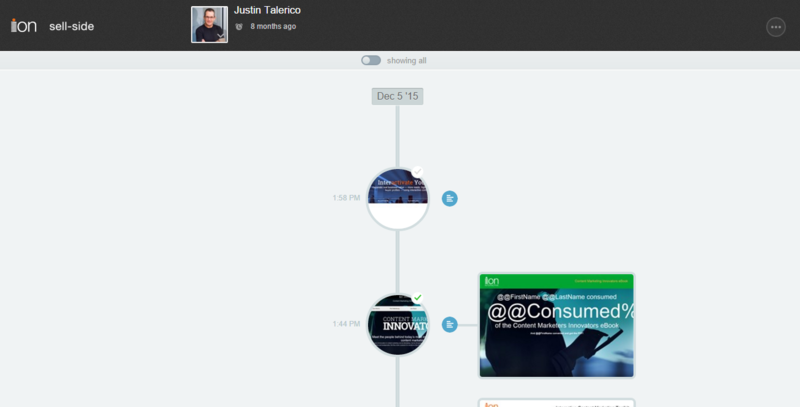 The platform now natively supports Marketo integrations! 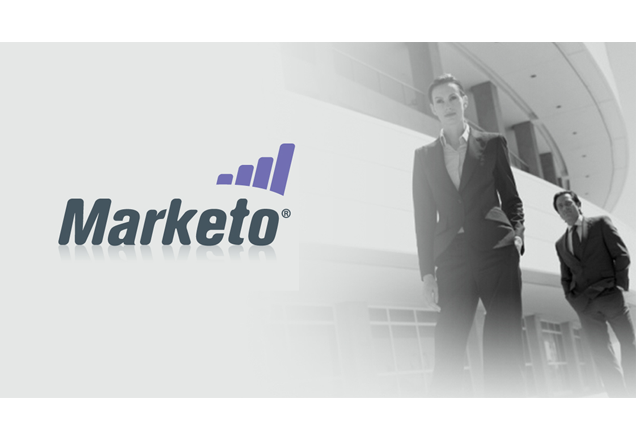 The platform talks to Marketo to get a list of available data fields to pick from. The console also knows the available Marketo actions. 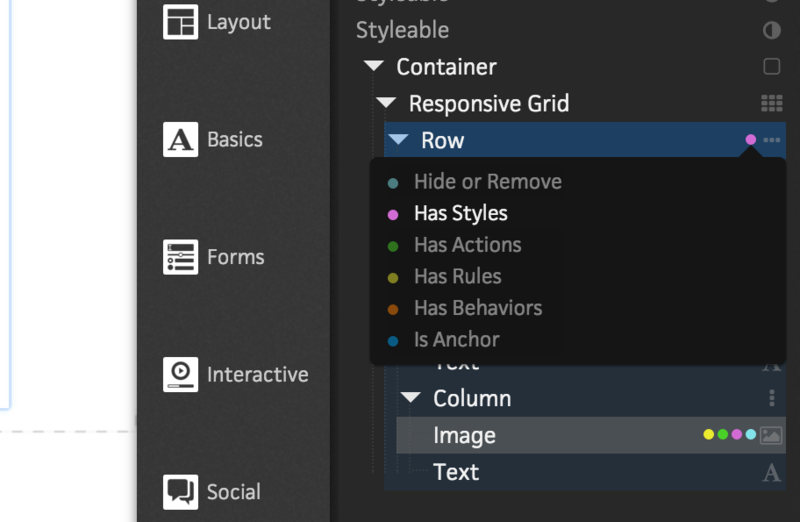 Once you set up your integration, run it like any other integration via rules. 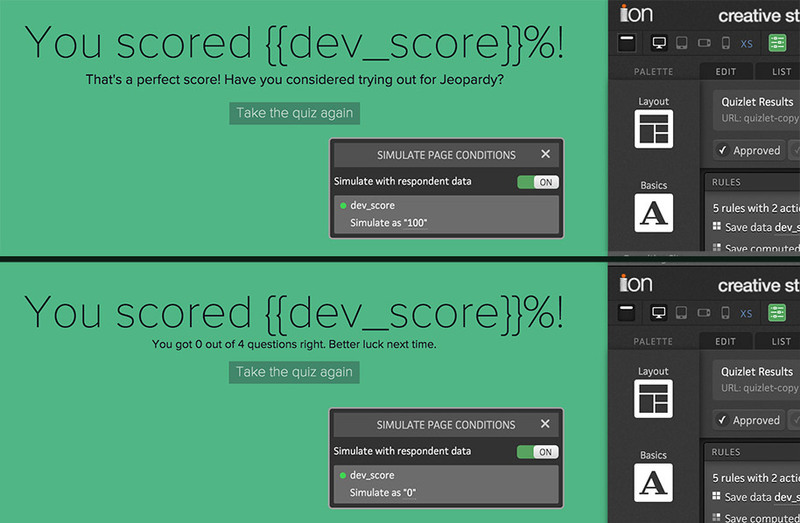 Take a quiz with conditioanlly personalized results! Creating an ion Click Map is hard work. Currently the Tag table gauge contains this data. 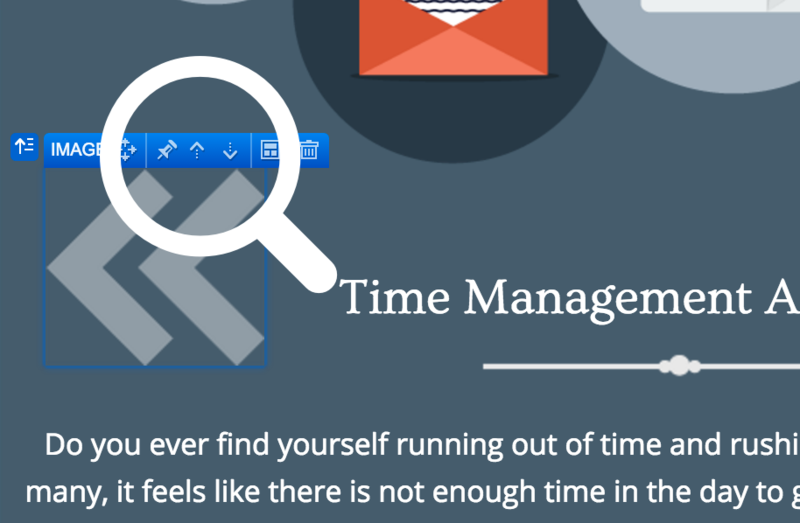 It can take up to 20 minutes of human labor to create a Click Map. 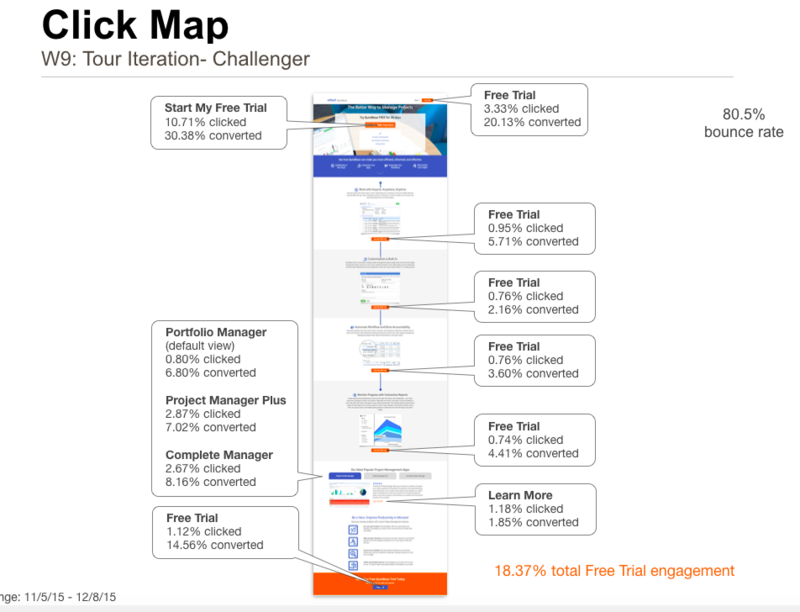 It's possible that a single report may have 5 - 10 Click Maps! 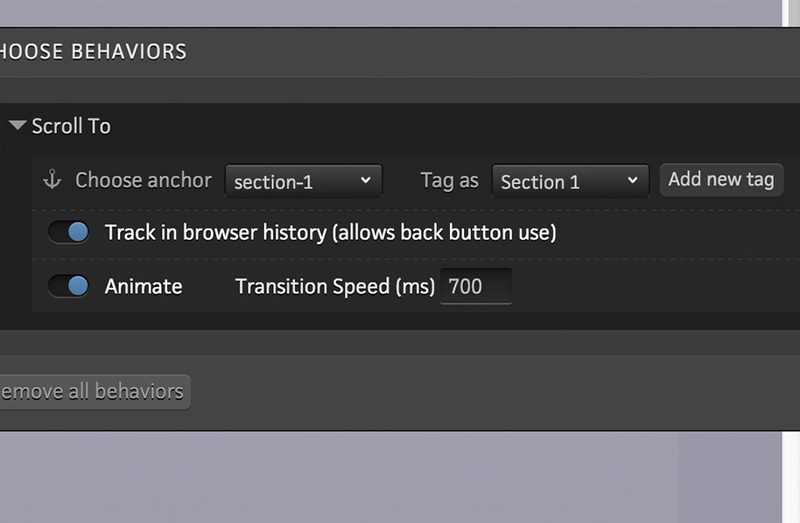 The Tag Map is a super secret, ion manager-only feature that attempts to mimic Click Maps. 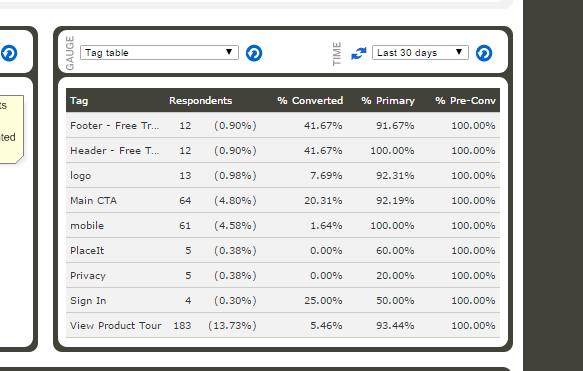 As part of the platform, it reports on all tags used in a creative, or page, and displays that tag information with respondent metrics inside the creative. The Certificate Signing Request creation page is the first step in the SSL certificate creation process and it can now be done within an ion console! 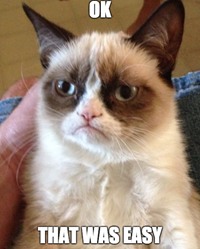 This page is only accessible by ion managers. 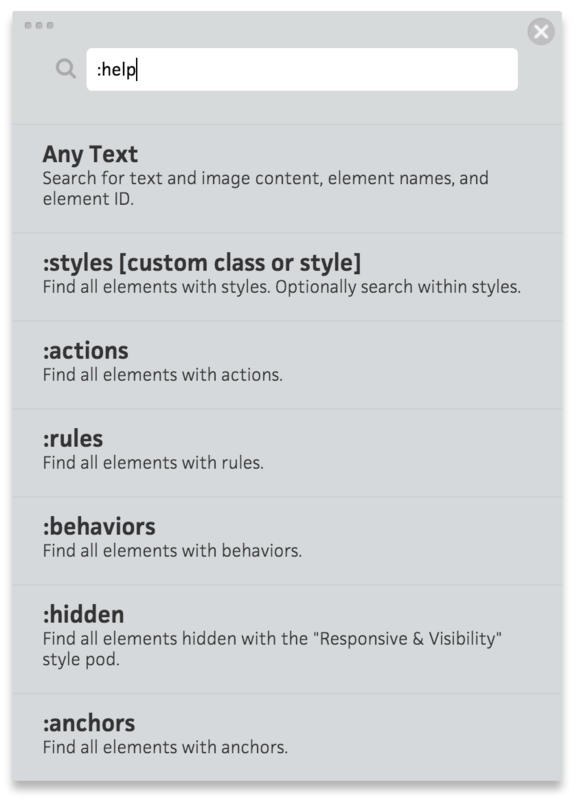 The element list uses color-coded dots to indicate what additional content an element has. This can be useful for determining where unexpected behavior is coming from. You're saying to yourself, "I only use or remember a few of them." I say to you "You're moving slower than a retired Floridian!" Seriously, this isn't photoshop where it takes years to remember 200 of them. We only have 24. 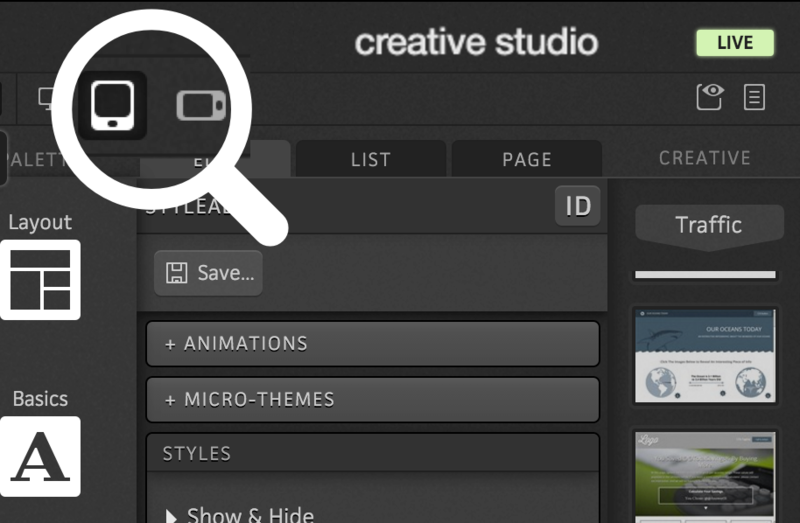 You can launch the shortcut window by clicking on the keyboard icon on the bottom right in Creative Studio. 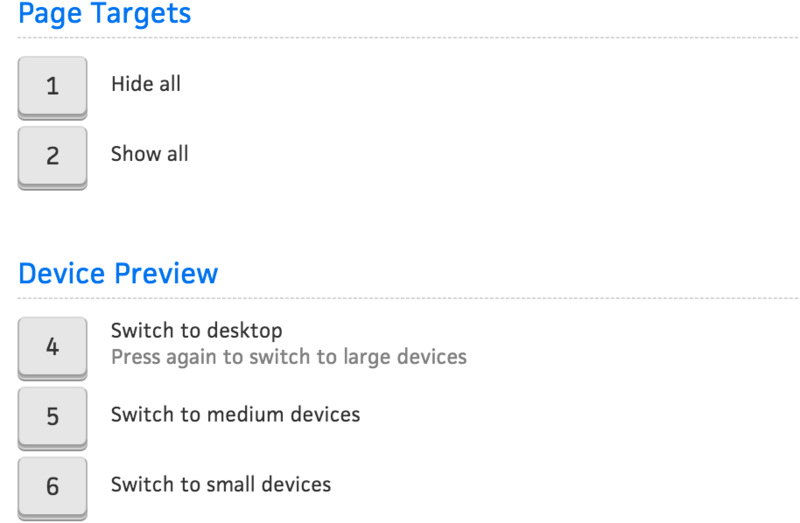 Alternatively, you can also use a shortcut to launch shortcuts, just hold Shift + / . What Can I Use Shortcuts For? Haven't learned to search a page yet? Well, now you can. 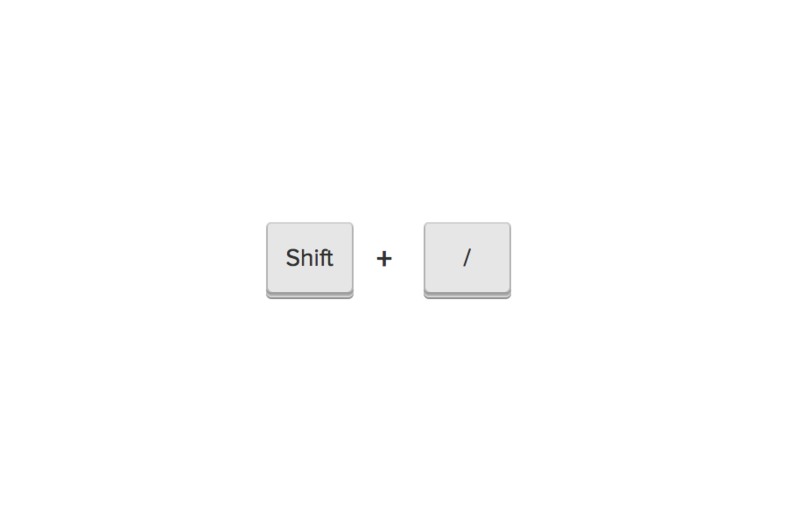 Start by pressing the / key. Do it. C'mon. Peer pressure. Everything on the page! Looking for a specific element? 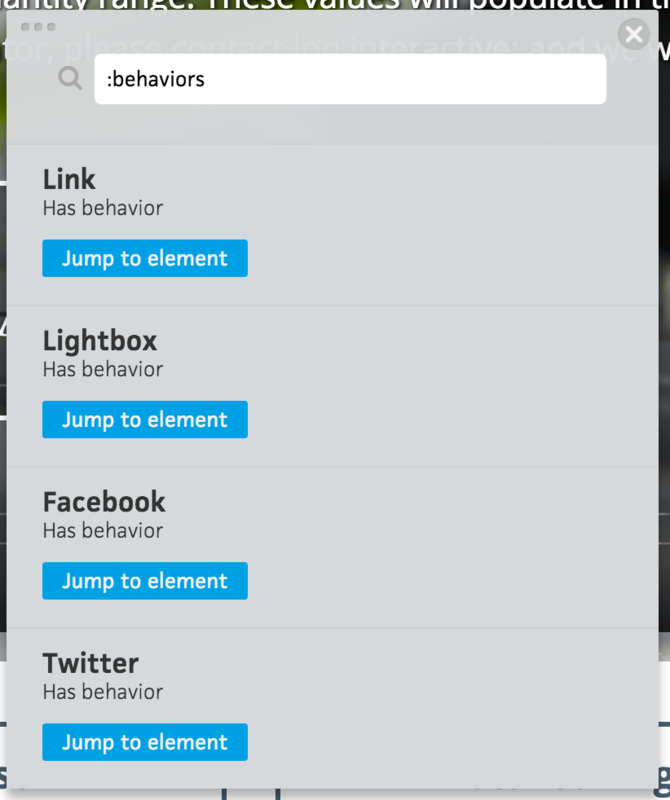 Type in an element name and you can jump to that element via the "jump button". 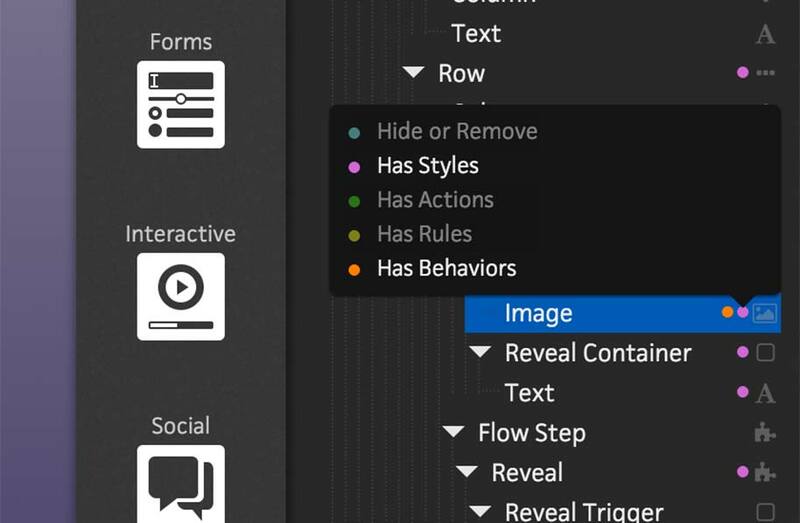 Any text starting with a colon will search Creative Studio specific items like behaviors, rules and actions. 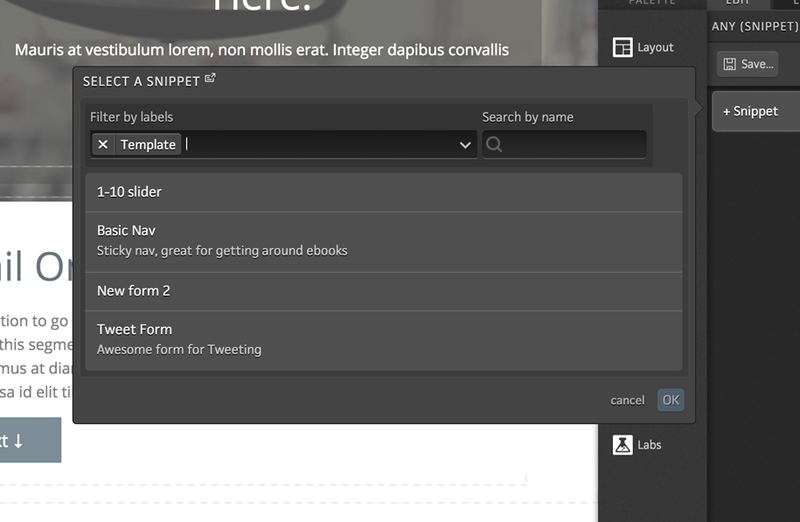 Search box in the way? 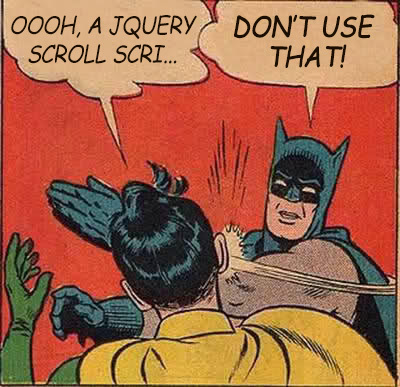 You can drag it around on the page like it's 2008. No need to reinvent that one. A hidden, behind-the-scenes, unsexy, yet necessary 'feature"
Made in Massachusetts with the ion platform. 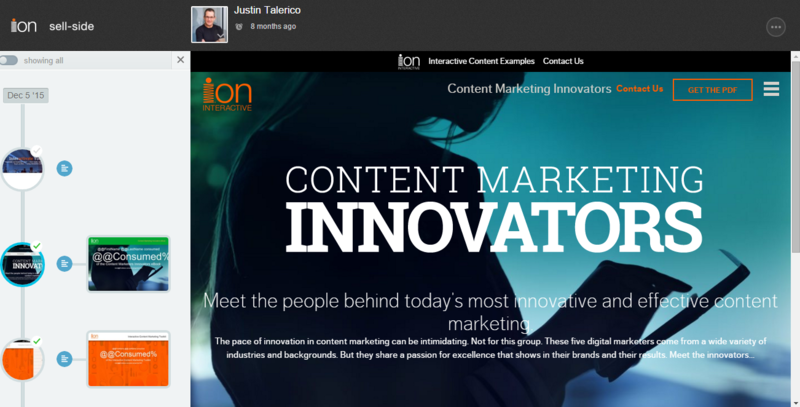 Learn more about ion interactive at ioninteractive.com.